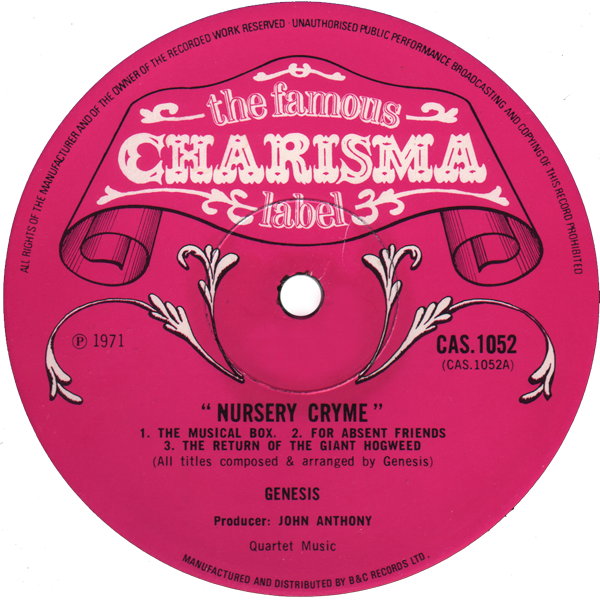 A new addition to the collection is this very nice copy of “Nursery Cryme” on the original ‘pink scroll’ Charisma label. 2. Gatefold sleeve is textured on the outer face and features the same B&C Records credit on the inner gatefold. 3. “Printed and made by the E.J. Day Group, London and Bedford” appears on the inner gatefold.